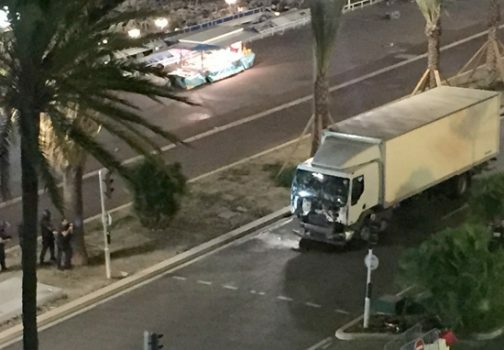 A lorry has plowed into a crowd of people celebrating Bastille Day in the French city of Nice, killing dozens and injuring many others. The BBC reports the incident occurred on the Promenade des Anglais during a firework display. The Mayor of the City, Christian Estrosi has told anyone in the city to remain indoors. The latest figures suggest at least 30 people have died, and another 100 have been injured. Reports have also suggested gunfire was exchanged at the scene between police and the occupants of the vehicle, although this has yet to be confirmed. We saw people hit and bits of debris flying around. Our thoughts go out to family and friends of the victims. More to follow.